Ten years ago Richard Louv, in his book Last Child in the Woods, coined the phrase Nature Deficit Disorder to describe the disconnect of young people with their natural world. Now more than 50% of the world’s population lives in cities. Add to that the addiction of children to the screen – be it computer, cell phone or TV – and their detachment from the planet’s natural ecosystems becomes even more significant. Last year a Chinese study of 100,000 families in six cities showed the full extent of Nature Deficit Disorder in that country. A country which boasts five megacities with a population over 10 million and 14 with more than 5 million. The study showed that – as in the US – Chinese children spent over 50 hours a week staring at a screen. Certainly not exploring the natural world. 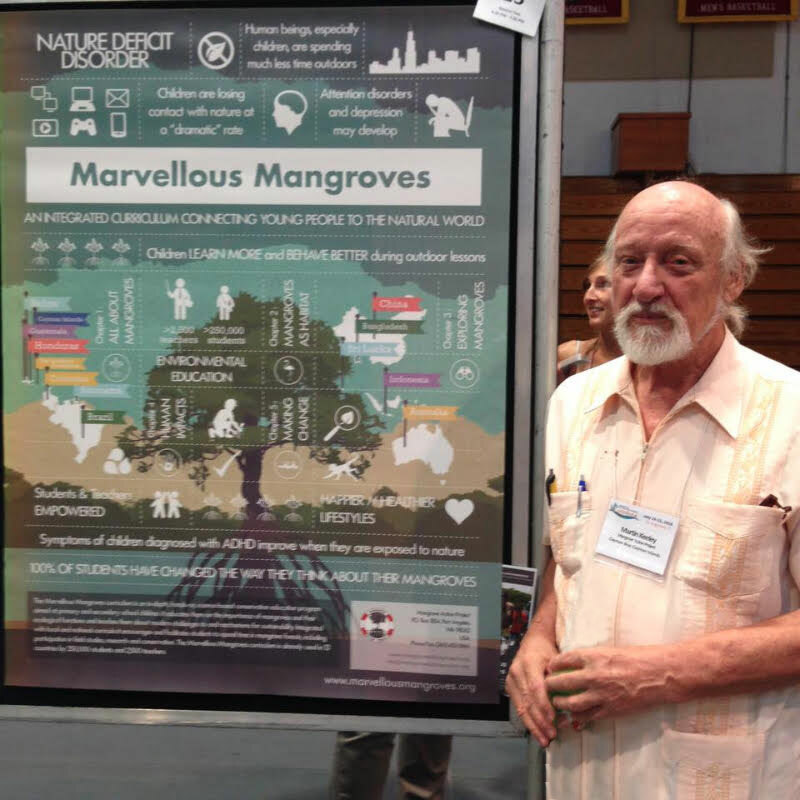 Marvellous Mangroves is a curriculum-based, hands-on science program which – since it started in 2001 – has been introduced to thirteen countries worldwide. Based on an award winning wetlands education program developed in Western Canada and the Pacific Northwest, the program emphasizes in-depth mangrove ecosystem exploration by teachers and their students. The 350 + page manual has to be translated and adapted for use in each country where it is introduced to interface with national and regional curriculum, plus incorporate local flora, fauna, geology and geography. It is introduced to local teachers through extended in-depth workshops, and in turn to their students in the classroom and field through Mangrove Clubs in each school. It is not enough to teach the true value of mangrove ecosystems through a superficial means of communications. Posters, fliers, displays, websites and one-day stand-alone field trips are not enough if we are going to change the focus and understanding of teachers, students and their communities. In-depth programs like Marvellous Mangroves need to teach core values through traditional education systems to fight Nature Deficit Disorder. Contact Information: Martin A Keeley, Mangrove Action Project, General Delivery, Cayman Brac, KY2-2200, Cayman Islands. Tel: 345-526-5072. Email: mangroveteacher@yahoo.com.